The main objectives of this study were to define the Patella species and determine their distribution and morphometry in Mersin-Viranşehir region. 99 samples were collected from three stations, each being six m2. To determine the distribution of organisms in supralittoral, mediolittoral and infralittoral zones all individuals collected from these zones, were fixed in 4% formaldehyde and transported to laboratory for identification and morphometric measurements. First lateral teeth of radula and characteristic teeth appendages were used for taxonomic examinations. Two patella species, Patella caerulea and Patella rustica were identified in Mersin-Viranşehir region. P.caerulea and P.rustica were constituted 88.89% and 11.11% of Patella species in the area respectively. P. caerulea was found in mediolittoral and upper infralittoral zones, whereas P.rustica was mainly distributed in supralittoral zones of the stations studied. Morphometric measurements of the specimens collected were carried out to find out whether these measurements could be used in species differentiation. Radula length to shell length ratio (RL:SL) of P.caerulea was calculated as 1.04 (range, 0.94-1.08) whereas this ratio was 2.03 (range, 1.97-2.08) for P.rustica. As a conclusion, it was suggested that RL:SL ratio should be used together with radula teeth characteristics for the identification of two Pa-tella species of Viranşehir coast. Rock cliffs, which are a part of seashore eco-system, are rich zones regarding to biological di-versity. In these areas where the effects of tides are the most common, great changes happen in ecological factors such as salinity and tempera-ture. Rocky tidal zones constitute feeding and nesting grounds for various kinds of organisms including man. However, today, tidal zones face some threats such as excess hunting activities and water pollution (domestic, industrial and agri-cultural). Patella species which are a part of rocky tidal zones belong to Patellidae family of the class Gastropoda. These species hold onto rocks very tightly and make up groups above and below the sea level. Patella species generally share the same habitat with Trichodesmium sp. from Cyanophyta, Fucus vesiculosus (Linnaeus, 1753) from Phaeophyta, Semibalanus balanoides (Linnaeus, 1767) from Cirripedia, Littorina sp. from Gastropoda, Acartia tonsa (Dana, 1848) from Copepoda, Brachidontes pharaonis (Fischer, 1870) from Bivalvia and Gammarus pulex (Linnaeus, 1758) from Amphipoda (Ayas et al., 2008). As rocky tidal zones shelter numerous individuals belonging to various species, interrelationships between species are very common. Although these relationships have some characteristics of collective life, competition may also be observed because of nutrition and settlement areas. Patella species get into spatial competition with some other species of fauna and flora as well. In a study carried out by Arrontes et al. (2004), it was stated that Patella species were in a spatial competition with Fucus vesicolosus (Phaeophyta). In the Mediterranean, Patella genus is represented by six species, namely P. caerulea L., P. aspera Lam. (= P. ulyssiponensis Gmelin), P. rustica L. (= P. lusitanica Gmelin), P. ferrugi-nea (Gmelin, 1791), P. intermedia (Murray in Knapp, 1857) and P. nigra (Da Costa, 1771) (Badino and Sella, 1980; Öztürk and Ergen, 1999; Mauro et al., 2003, Guerra-Garcia et al., 2004, Espinosa et al., 2007, Ayas et al., 2008). Among these species, P. ferruginea which is a Mediterranean endemic, took place in the most endangered sea species list in 1992 (Guerra-Gar-cia et al., 2004). P. caerulea which is another kind of Mediterranean endemic is one of the most common species of Mediterranean shores. (Soto-relli and Margotrigiano, 2005). P. aspera and P.rustica can be found both in Mediteranean and Atlantic shores. These patellid species live on different vertical zones of rocky shores (Mauro et al., 2003). Patella species being herbivores feed on algs living in littoral zone. Whereas P. rustica living in supralittoral zone feed on epilitic and endolitic Cyanophyceae species, P. caerulea living in me-diolittoral zone also mostly feed on Cyanophy-ceae species. Besides, P. caerulea can also feed on other main algea classes including Cyanophy-ceae species (Della Santina et al., 1993). In a number of pollution studies, it has been suggested that Patella species could be used as pollution indicators (Cravo et al., 2002; Sotorelli and Margotrigiano, 2005; Nakhle et al., 2006, Ayas et al., 2009). It has been found out that P. caerulea individuals of which samples have been taken from different shores of Italy reflected Cd levels in the surrounding waters (Campanella et al. 2001, Conti and Cecchetti 2003). It is be-coming more important to carry out research on the distrubution and biology of the species be-longing to this genus, which in fact can be used as a biological indicators, as the pollution of sea ecosystem continues increasingly. Although a number of studies have been carried out on the distribution and ecology of Patella species (Bar-nister, 1975; Guerra and Gaudencio, 1986; Della Santina and Chelazzi, 1991; Navaro et al., 2005), very few studies have been carried out on the distribution of patellids of our country’s rocky tidal zones, which are one of the dominant genus (Öztürk and Ergen, 1999, Ayas et al., 2008). The aim of the present study was to contribute to this field to some extent. Samplings were carried out in March 2008. Individuals belonging to Patella genus were col-lected from the rocky tidal zone of anthropogenic Viransehir shore (Figure 1). Samples were taken from 1.5 m above and 0.5 m below the sea level, totalling two meters vertically and three meters horizontally, from three area each covering six square meters. In each sampling area, all the in-dividuals belonging to Patella in infralittoral, mediolittoral and supralittoral zones were col-lected. Individuals were placed into jars contain-ing 4% formaldehit and tagged. 99 Patella indi-viduals were dissected in the laboratory, their ra-dulas ripped of and their lengths were measured. The species identification was made in terms of morphological appearances of the radula teeth. The morphometric measurements of Patella shells were done using a caliper. Morphological appearances of the first lateral radula tooth and radula teeth with projections, which are placed in width rows from the central axis on radula, were taken into account in species identificatiton (Piette and Gaillard, 1959; Gaillard, 1987; Öztürk and Ergen, 1999). Anthropogenic Viransehir shores have lost its sand as a result of sea filling. The region has turned into a rocky shore and became the habitat for tidal zone species. Some morphological mea-surements and radula lengths of the patellids P. caerulea and P. rustica, distributed in Anthropo-genic Viransehir rocky areas, are given in Table 1. Table 1: Morphological measurements of two Patella species distributed at Viransehir coasts. 88.89% of all the samples collected from Viransehir consisted of P. caerulea individuals. This species is distributed in upper infralittoral and mediolittoral zones vertically 15 cm below sea level in infralittoral and 35 cm above sea level in mediolittoral. This vertical zone area is under the influence of sea water because of tides and waves. It has been observed that the individ-uals are mostly found in an area 25 cm above the sea level. In P. caerulea individuals, 1. lateral tooth at-tached to the bottom of radula is convex. On the contrary, P. rustica’s protruding tooth is 3 pieced (Öztürk and Ergen,1999). One piece of protrud-ing tooth is smaller compared to the other two, and the middle protrusion is the longest one. These characteristics are important in the identi-fication of P. caerulea. The length of radula in P. caerulea (RL) va-ried between 20.4-41.1 mm, with an average length of 27.48mm. While the average shell length (SL) was 26.41mm, it changed between 19.0-39.0 mm. RL/SL ratio changed between 0.94-1.08, its average being as 1.04. The width of shell (SW) was 22.32 mm on average, and changed between 15.0 mm and 33.0 mm. While the average shell height (SH) was 7.36 mm, it changed between 5.0-11.0 mm (Figure 2). 11.11% of the samples collected were P. rus-tica individuals. This species is found in supra-littoral zone. The individuals of this species were found 50 cm above the sea level. It was observed that they mostly settled between 50mm and 80cm. In P. rustica radulas, the bottom of 1. lateral tooth attached to radula was curved. Protruding tooth of P. rustica was 2 pieced. Because of this characteristic, it can be easily distinguished from the other Patella species (Öztürk and Ergen, 1999). One of its pieces was longer than the other and these characteristics are significant in the identification of P. rustica. It was found that P. rustica shells were more conical and higher. RL of P. rustica changed between 42.7-85.3 mm, with an average of 66.86 mm. The average SL was 32.96 mm, and it varied between 21.0-42.5 mm. RL/SL ratio was between 1.97-2.08, averaging to 2.03. While SW was 28.36 mm on average, it changed between 18.0-37.0 mm. SH was 12.5 mm on average, and it varied between 7.0-16.0 mm (Figure3). It was found that whereas P. caerulea distri-buted in upper infralittoral and mediolittoral zone, P. rustica lived in supralitoral zone. The identified vertical distribution of these species showed similarities with the results of Ayas et al., (2008), Navaro et al., (2005) and Della San-tina et al., (1993). P. caerulea population (%88.89) were more dominant than P. rustica population (%11.11). In their habitats which was also shown by Ayas et al., (2008) and Öztürk and Ergen (1999). Shell height of P. rustica individuals were bigger than P. caerulea individuals. SH of P. caerulea which lived above the sea level was more than the ones living below the sea level. These findings are similar to the results of Öztürk and Ergen’s (1999) study. According to Öztürk and Ergen (1999), Orton (1929) and Gamulin-Brida (1974), in animals living in dry habitats, longer shell was an adaptive characteristic against dehydration. 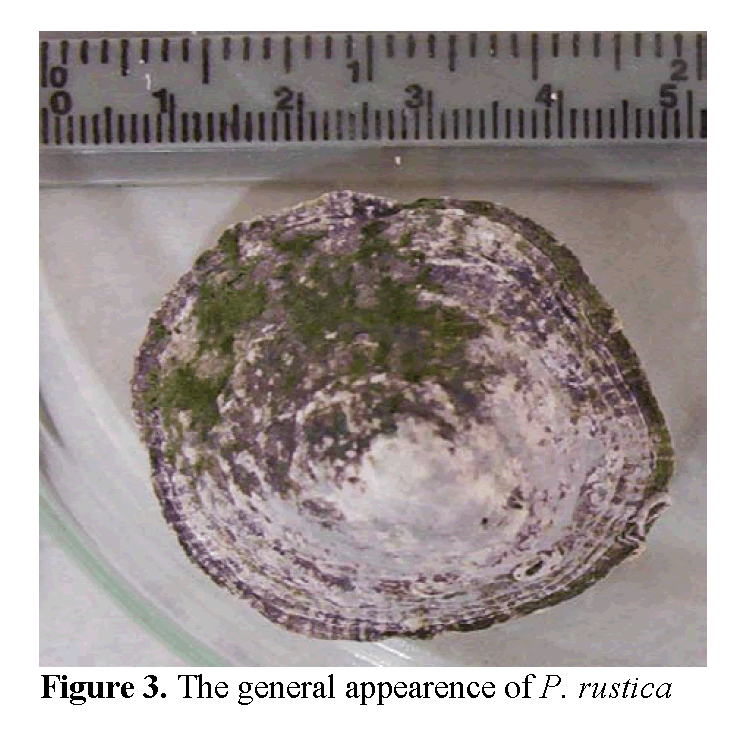 The fact that P. rustica live higher above the sea level than P. caerulea ex-plains why their shell is higher. Similarly, the fact that P. caerulea which are not directly re-lated to the sea water have more conical and higher shell is an adaptive characteristic to dry habitats. As these two species living on Viransehir anthropogenic rocks have different shell heights for adaptive reasons, it was found that this could not be used in the identification of species. Mauro et al., (2003) stated that the spe-cies belonging to Patella genus showed mor-phological changes because of environmental factors, and that is why shell shape and color could not be used in the differentiation of patellid species. It was concluded that RL/SL could be used in the differentiation of the species. However, as ecological conditions cause changes in patellids morphometric characteristics, it can be suggested that radula teeth should also be used with RL/SL ratios in the identification of species. Ayas, D., Kalay, M. and Sangün, M.K., (2009). Determinate of Cr, Cd and Pb levels in sur-face water and Patella species (Patella cae-rulea, Patella rustica) collected from Mersin Bay, Ekoloji, 18(70): 32-37. Ayas, D., Almis, M. and Kaya, U.L., (2008). 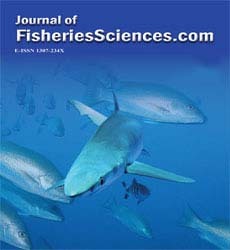 Distrubition and morphometric characteris-tics of Patella (Archaeogastropoda) in Mer-sin-Karaduvar Region of the Northeastern Mediterranean Sea, Journal of FisheriesS-cience.com, 2(3): 570-575. Badino, G. and Sella, G., (1980). Phosphoglucose isomerase variability in sympatric popula-tions of Mediterranean species of Patella (Gastropoda, Prosobranchiata), Marine Ecology Progress Series, 2: 315-320. Bannister, J. V., (1975). Shell parameters in rela-tion to zonation in mediterranean limpets, Marine Biology, 31(1): 63-67. Della Santina, P. and Chelazzi, G., (1991). Tem-poral organization of foraging in two Medi-terranean limpets, Patella rustica L. and Patella caerulea L., Journal of Experimental Marine Biology and Ecology, 153: 75-85. Della Santina, P., Sonni, C., Sartoni, G. and Chelazzi, G., (1993). 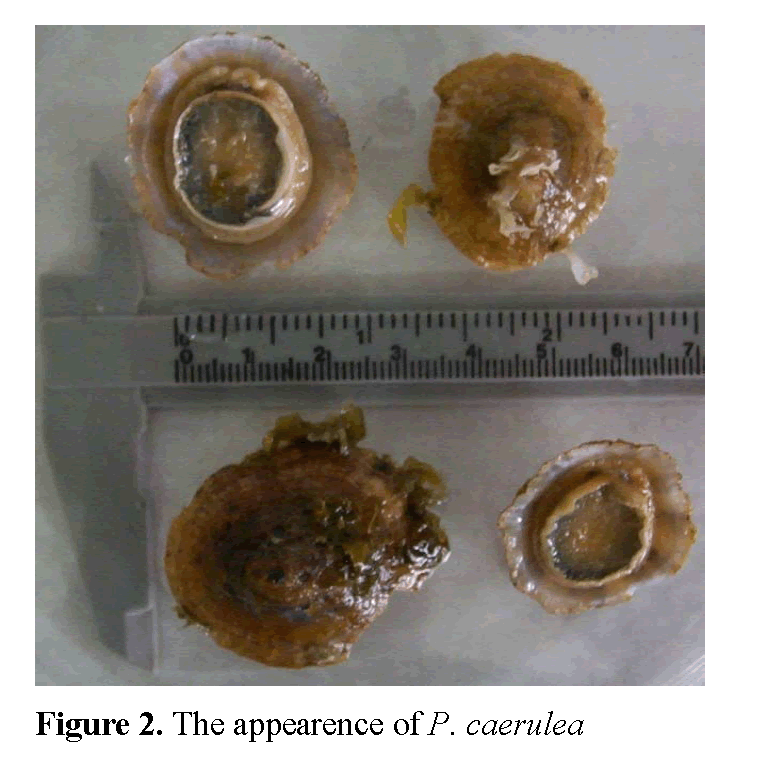 Food availability and diet composition of three coexisting Medi-terranean limpets (Patella spp. ), Marine Bi-ology, 116(1): 87-95. Fischer-Piette, E. and Gaillard, J.M., (1959). Les patelles au long des cotes anlantiques iberi-ques et nord-marocaines, Journal de Con-chyliologie, 99: 135-200. Gaillard, J.M., (1987). Mediterranee et Mer Noire. In: Gasteropodes, Fischer, W., Schneider, M. and M.L. Bauchot, (Eds.). FAO, pp: 513-630. Gamulin-Brida. H., (1974). Biocienoses benthi-ques de la mer Adriatique, Acta Adriatica, 15(9): 1-102. Guerra, M.T. and Gaudencio, M.J., (1986). As-pects of the ecology of Patella spp. on the Portuguese coast, Hydrobiologia, 142(1): 57-69. Orton, J.H., (1929). Observations on Patella vul-gata III. Habitat and habits, Journal of the Marine Biological Association of the United Kingdom, 16: 227-288. Öztürk, B. and Ergen, Z., (1999). Patella species (Archeogastropoda) distributed in Saros Bay (Northest Aegean Sea), Turkish Journal of Zoology, 23(2): 513-519. Nakhle, K.F., Cossa, D., Khalaf, G. and Beliaeff, B., (2006). Brachiodontes viriabilis and Patella sp. As quantitative biological indicators for cad-mium, lead and mercury in the Lebanese coastal waters, Environmental Pollution, 142: 73-82.